When Calcutta was rechristened as Kolkata and Bangalore as Bengalaru, I could hardly fathom the logic behind this penchant of local Governments to rename well-known cities to bring lingual flavor in their names (perhaps, to garner more votes), sacrificing the age old identity associated with the earlier names. I am similarly surprised as I find roads/streets inconspicuously named after Mahatma Gandhi in every possible corner of India, confusing travelers and locals alike. I mean, is there no other way of paying homage to the greatest Indian, other than flaunting his name on every street corner? As I read Lawley Road by R.K. Narayan, I discovered that the above mentioned events are a regular feature of our Politics rather than a one off thing. Even when independence was newly acquired, the local councils believed in acting on such frivolous acts rather than concentrating on development of their cities. 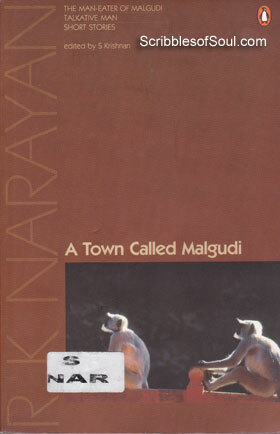 So, as nascent India was struggling to stand on its feet, Narayan looked a bit deeper and hit upon the incompetence of local authorities in the present story, making fun of their fetish for names. Lawley Road is told by Talkative Man (TM), an imaginary narrator, Narayan has concocted to write the stories in first person. But, more than a narrator, TM plays a prominent role in this story, in fact, he is responsible for the central agenda. Here, TM is a successful journalist and a married man as compared to the bachelor he used to be in the novella Talkative Man. He is quite popular with Municipal Council (MC) as he usually writes impressive articles about their working and is in good books of the Councillor, a rich blanket supplier. The story begins with the celebration of India’s Independence. The Councillor, in his zeal to celebrate the freedom, decides to change the names of all the prominent roads and streets showing deference to the patriotic leaders. Though, this creates chaos in the city as similar names breed confusion, but the Councillor remains nonchalant to people’s problems. However, the real problem begins when MC decides to remove the imposing statue of Lord Lawley from the Town Square. As per the hasty research done by MC, Lord Lawley was an indigenous Hitler, who suppressed Malgudians and tortured them to no end. Anything British could hardly be tolerated in Free India, leave aside paying homage to a tyrant like Lawley. Moved by such high sentiments, MC gives out a tender to TM to remove the statue. On successful completion of work, Council even facilitates TM at a public function for undertaking a worthy social work and a huge coverage is given to the event, to en-cash on good publicity. But, here the events take a surprising turn. It becomes known that MC has removed the wrong statue! Lord Frederick Lawley was neither a suppressor nor a dictator, he was actually the founder of Malgudi, a good Englishman who worked for the upliftment of Malgudi and created the first ever co operative in India. As public authorities and media press upon MC, what will be his new strategy? Will he be able to place the chickens back in the basket? Or, will this lead to more drainage from Public Fund? Well, read this tickling story to know more about the senseless nuances of red tapism prevalent in our corrupt bureaucracy and find out for yourself. I found the story quite simple and yet thought provoking. In a garb of laughter, Narayan successfully disrobes the incompetence of local authorities. With his tongue firmly in cheek, Narayan has created a timeless story in Lawley Road. Even though more than sixty five years have passed since Independence, the subject of the story remains relevant. Even today, the Government takes short sighted decisions. Policies are ill formed, and strategies to execute them even more sluggish, causing more inconvenience and trouble to the citizens, rather than benefiting them. No one cares to look at the logical side of things, man holes remain open, speed breakers are created at the wrong place and digging is done at the height of Monsoon season! Well, at least our Government is consistent in remaining incompetent! So, as I said before, Narayan has chosen a universal subject which would always remain a burning issue and Lawley Road can easily be branded as another good feather in the honorary cap of Narayan. A mix of satire and sarcasm with brilliant comic timing! I WANT THE DISCRIPTIVE REVIEW OF THE LAWLEY ROAD BY R.K. NARAYAN . WILL YOU PLEASE PROVAID AS EARLY AS POSSIBLE.